Shijian 18 was on the second CZ-5 mission and the Chinese have said that the third CZ-5 will carry Shijian 20. Have the Chinese said anything about Shijian 19? I believe they stopped mentioning Shijian 19 after the news came out that Shijian 20 would be launched on the third Long March 5. So, my assumption on that satellite is that it's being put into storage until a future launch. 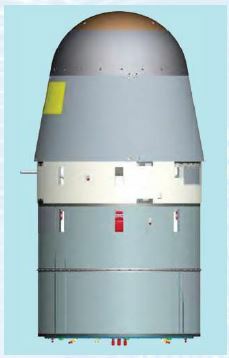 Well we are now made known of the existence of Shijian 19......through a press release stating that CASC has recently completed "drop tests of a full scale model of its return capsule" (!). 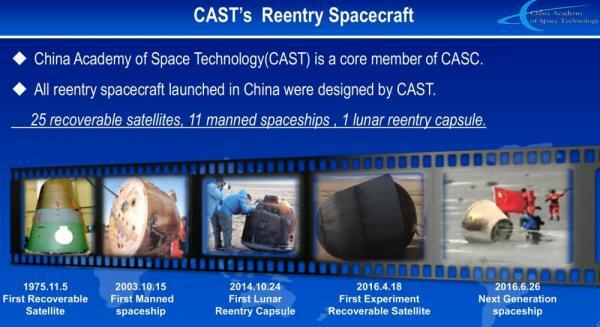 I have no idea if this thingy is related to the next generation Chinese human spacecraft, or some new science mission using new "film-return satellites", or.....something else. 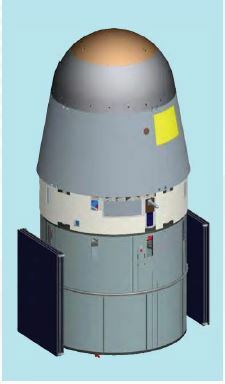 So this is next-generation series of FSW recoverable spacecraft family known as FSW-5. Since there are two variants, maybe FSW-5 and FSW-6? Apparently the military version is the baseline for the international version. Some more information about generation 5 recoverable spacecraft (Source: ttps://wxn.qq.com/cmsid/20181009A1YYN700). Very likely a first test flight will be made as Shijian-19, for which chinese media reported air drop tests in mid summer. In the above illustrations the "FSW-4" is shown as flying through to 2016. Since the launches in the Jianbing series ended in 2005, I wonder if this is an ackowledgement that Shijian 8 and Shijian 10 were FSW-4 platforms? Previous information available said that SJ-19 would be launched in April 2019 as a next generation recoverable satellite. 20 days in orbit, up to 15 times, first launch in April 2019. Maybe the thread should be joint with https://forum.nasaspaceflight.com/index.php?topic=46684.msg1872076#msg1872076. A post on 9ifly Chinese space forum is saying that the launch will take place NET late June.